UpDown technical indicator looks for potential market entry points. It has two main lines (Up and Down), as well as an additional one (Balance). The main market entry signal is activated when Up and Down lines are crossed. Up line exceeding Down is a buy signal. Up line falling below Down is a sell signal. The Additional Balance line is used to define your position type. If the Balance line is above zero, then you most probably trade in trend direction. The same is true for a short position if the Balance line is below zero. 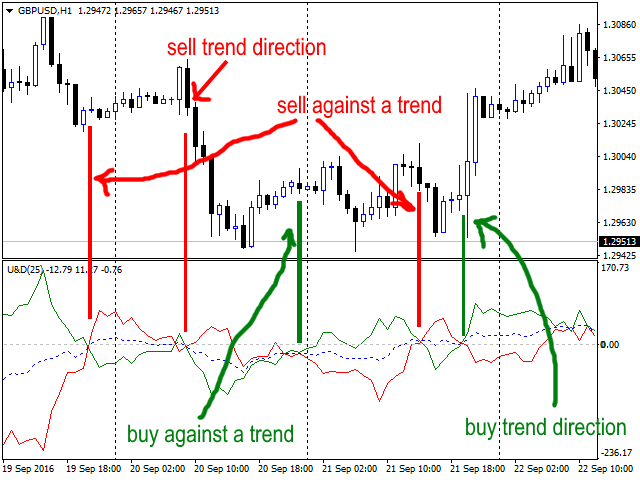 If the Balance line is below zero when opening a long position, then you most probably trade against the trend. The same is true for a short position if the Balance line is above zero. 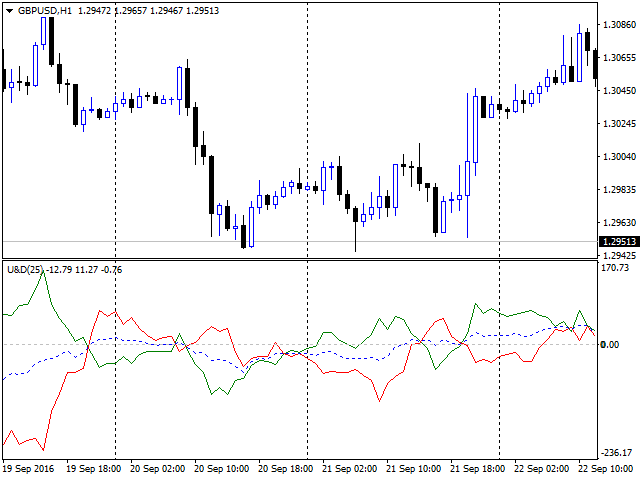 Period_UD - number of candles used to calculate the values of Up and Down lines of the indicator. Period_Balance - number of candles used to calculate the values of the Balance line. Added the ability to set the period of the Balance line separately.